GOG.com - RollerCoaster Tycoon 2 - Supported software - PlayOnLinux - Run your Windows applications on Linux easily! 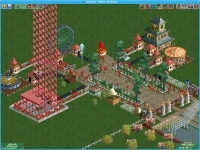 English: Manage amusement parks, from setting prices to designing your own rollercoasters! Français : Gérez des parcs d'attractions, depuis le choix des prix jusqu'au design de vos propres montagnes russes ! 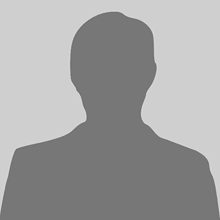 TITLE="GOG.com - RollerCoaster Tycoon 2"
SHORTCUT_NAME="RollerCoaster Tycoon 2: Triple Thrill Pack"
POL_SetupWindow_presentation "$TITLE" "Chris Sawyer Productions / Atari" "http://www.gog.com/gamecard/$GOGID" "Pierre Etchemaite" "$PREFIX"
POL_Shortcut "RCT2.EXE" "$SHORTCUT_NAME" "" "" "Game;Simulation;" # "$SHORTCUT_NAME.png"
POL_Shortcut_Document "$SHORTCUT_NAME" "$WINEPREFIX/drive_c/GOG Games/RollerCoaster Tycoon 2 Triple Thrill Pack/manual.pdf"
This game works apart from when I run it there is no sound. Could anyone advise on this? There is sound on my laptop and sound is enabled in the game. 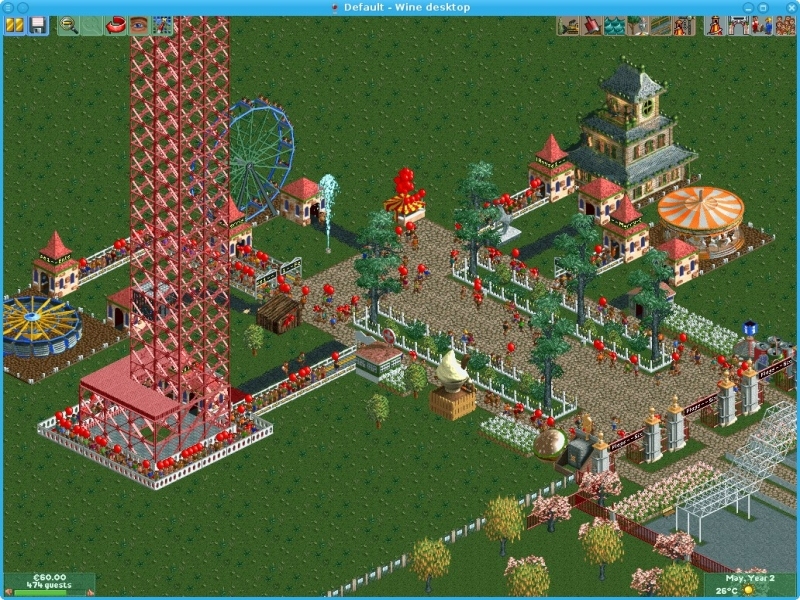 I buy on gog ROLLERCOASTER TYCOON 2: TRIPLE THRILL PACK, install it, and game work. Wine 1.6.2 will not run on Arch, it will give driver errors. I've upped the Wine version to 1.9.3.